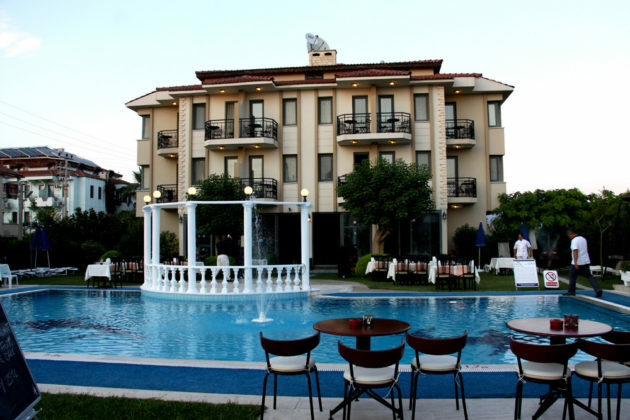 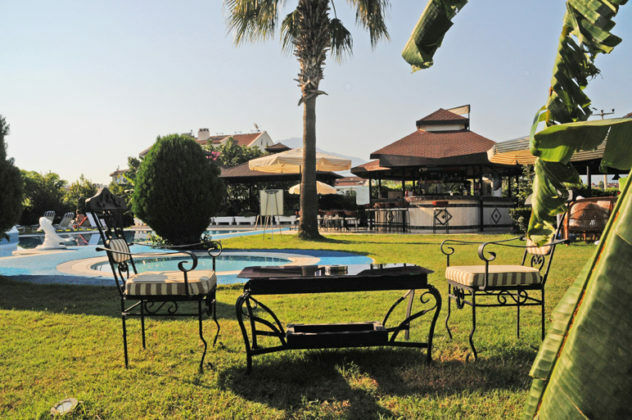 The Golden Moon Hotel is located in Calis Fethiye. 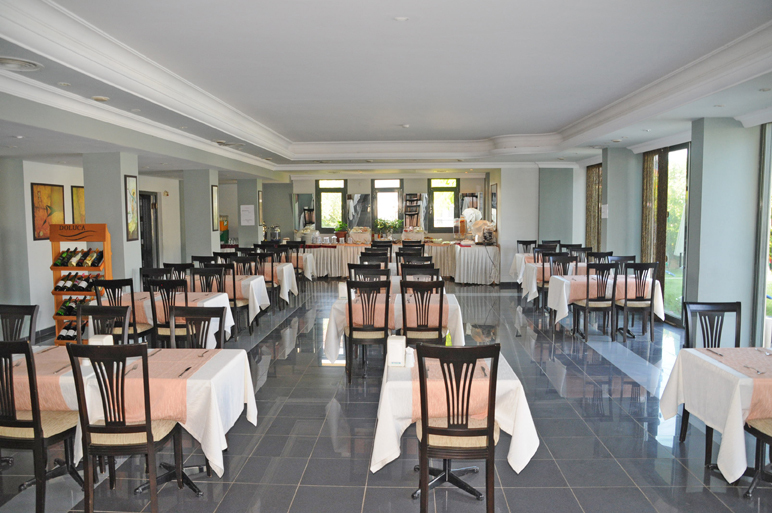 Golden Moon Hotel has 31 guestrooms, all including a private bathroom with WC, shower and hair dryer, telephone, TV, air conditioning, room service, and balcony. 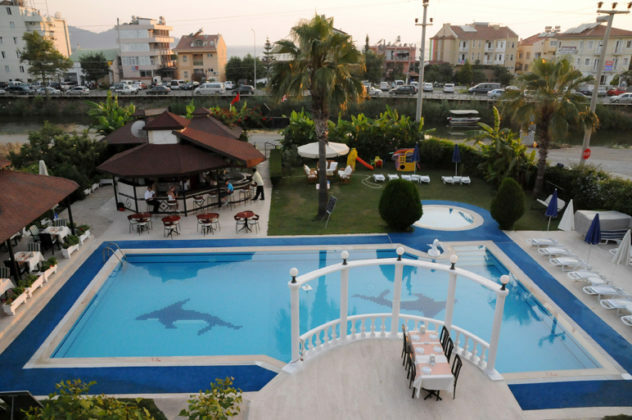 There are 2 swimming pools, restaurant, pool bar, billards and table tenis. 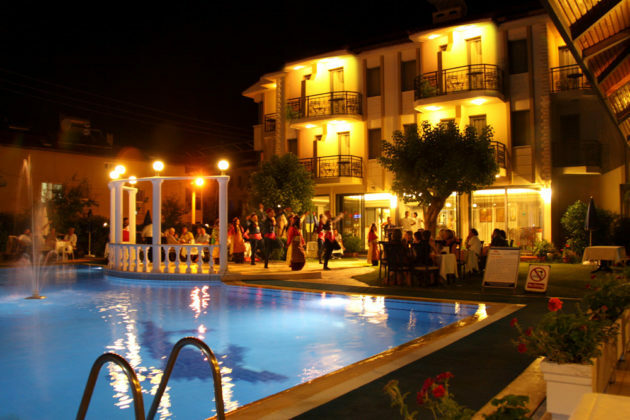 Also Golden Moon Hotel offers Turkish night party every wednesday with open buffet and dance shows.